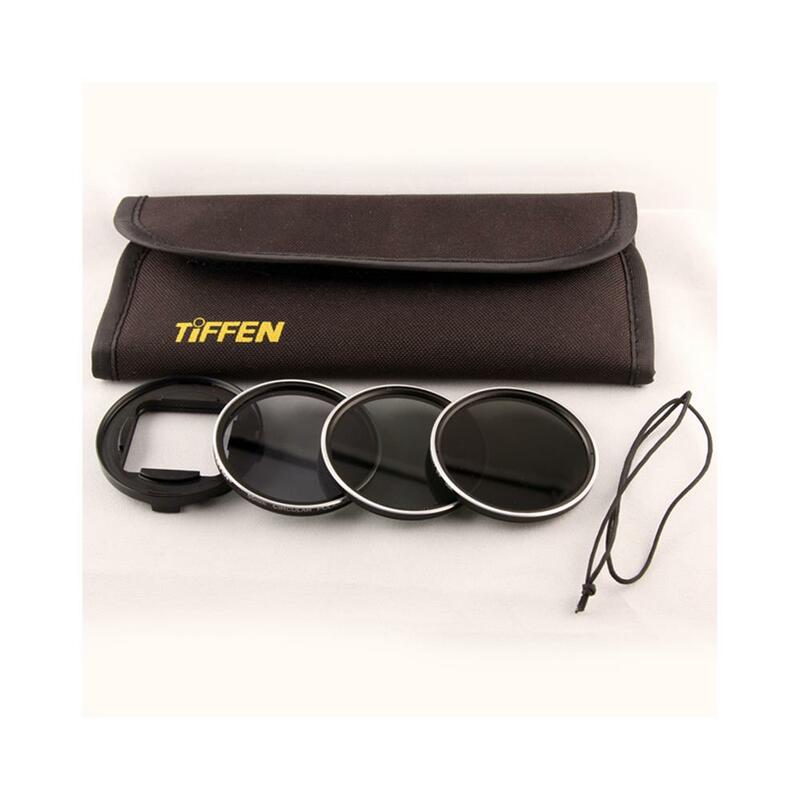 55 mm Tiffen Circular Polarizer Filter. This filter is intended for use with the BlurFix3 SO 55 mm adapter. This filter is ultra low-profile to minimize or eliminate vignetting, and is only available from SRP. A circular polarizer will add more contrast to clouds and make the sky appear more blue on bright washed out days. A polarizer is best know for its ability to reduce glare. 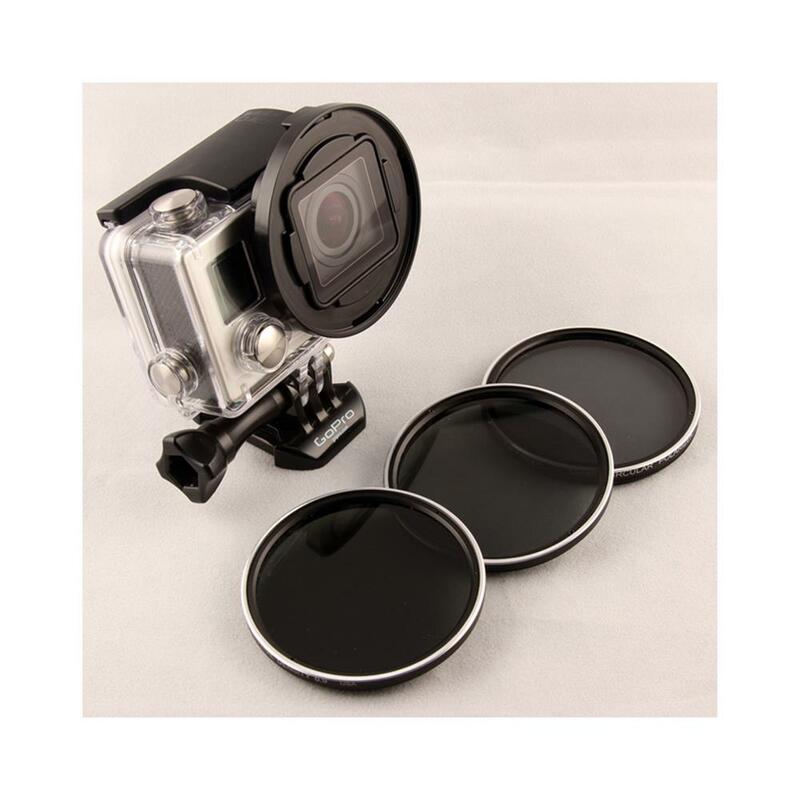 Use a CPL when filming reflective surfaces whether that be water, a car's windshield, or ice. 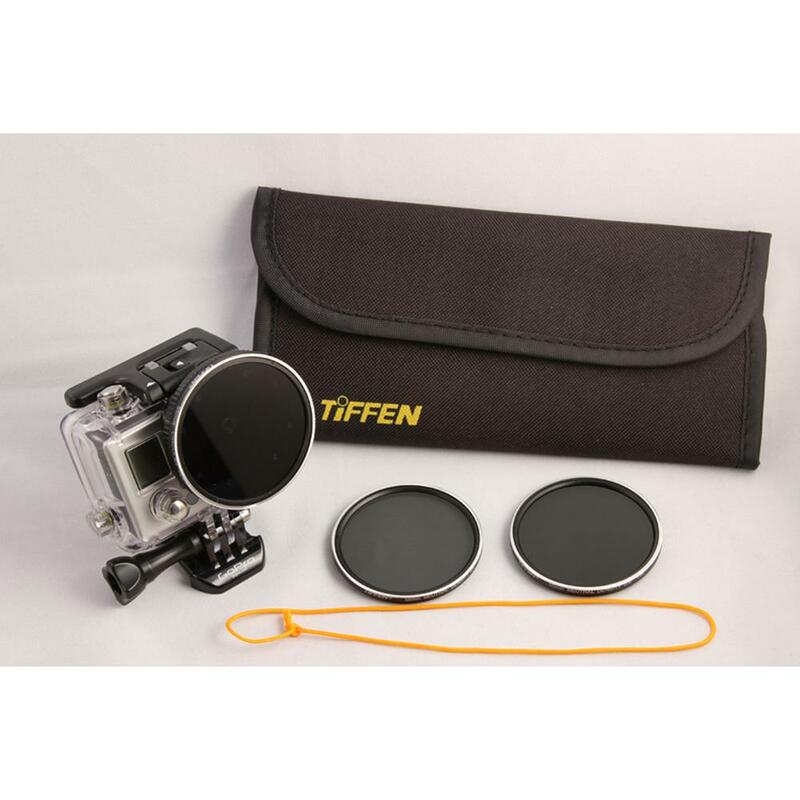 55 mm Tiffen Neutral Density 0.6 (optical density) Filter. This filter is intended for use with the BlurFix3 SO and BlurFix3+ 55 filter adapters. This filter is ultra low-profile to minimize or eliminate vignetting, and is only available from SRP. A ND0.6 filter cuts all light by 75%. This forces the HERO3 or HERO3+ to slow its shutter speed. An ND filter is often used to reduce or eliminate prop blur for general aviation videography and minimize the "jello effect" experienced in radio controlled and motor sport applications. 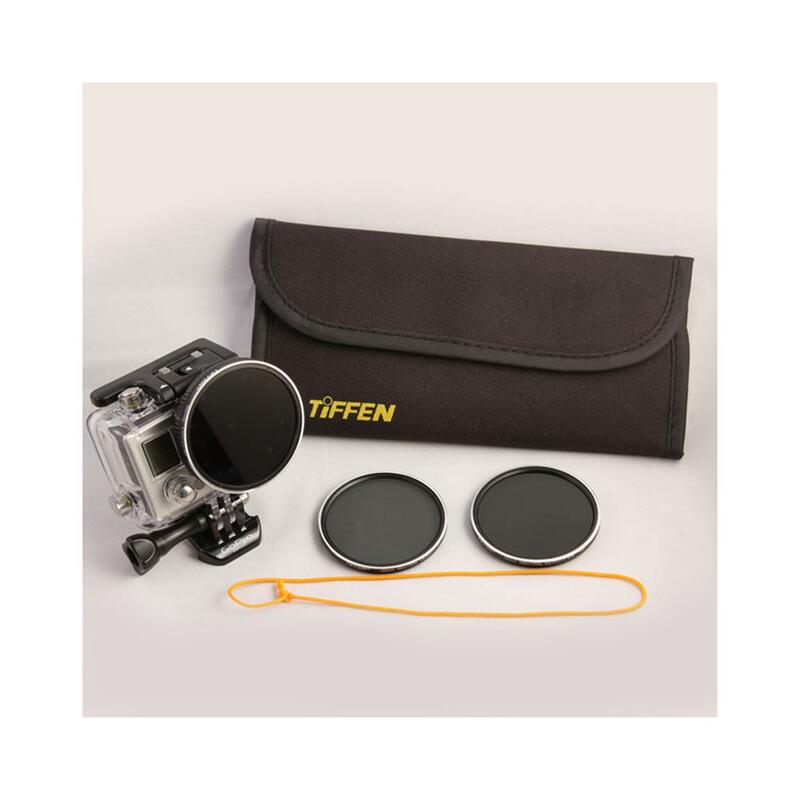 55 mm Tiffen Neutral Density 0.9 (optical density) Filter. This filter is intended for use with the BlurFix3 SO and BlurFix3+ 55 filter adapters. This filter is ultra low-profile to minimize or eliminate vignetting, and is only available from SRP. A ND0.9 filter cuts all light by 87.5%. This forces the HERO3 or HERO3+ to slow its shutter speed.